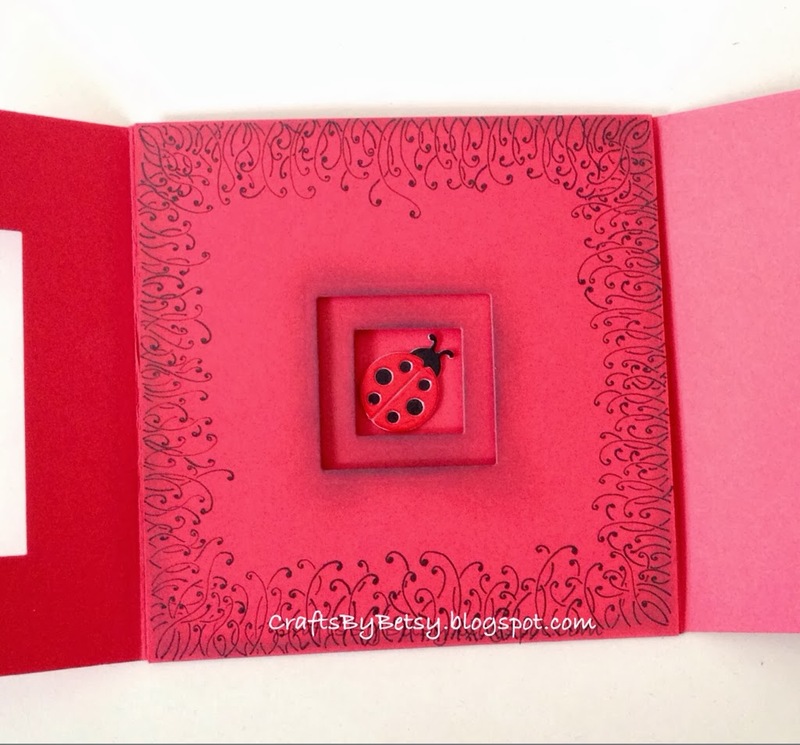 Inspiration for this card came from a design in the book Folding Ideas for cards & envelopes by Laurence K. Withers. Square cards are better suited for hand delivery as USPS charges extra for mailing a square envelope (also their minimum square size requirement is 5" x 5"). 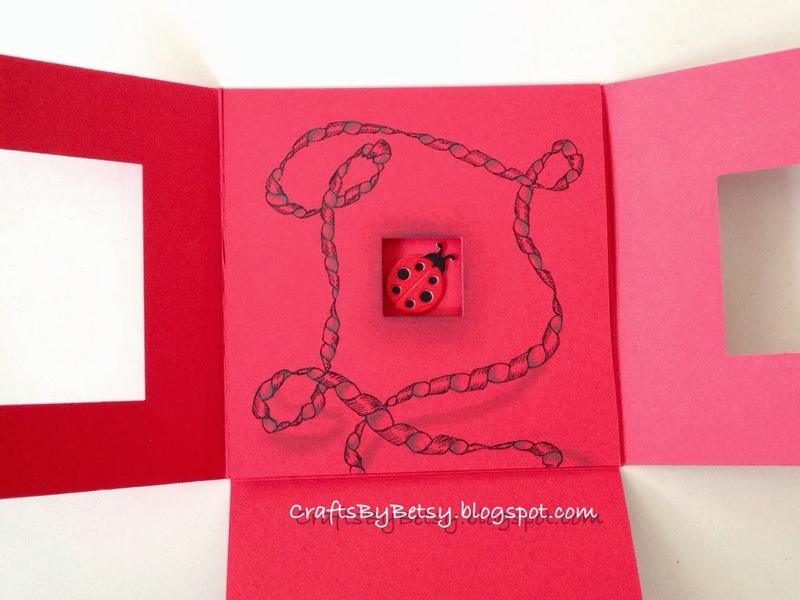 I used Spellbinders Nestabilities Classic Squares Small for this first card. You could use dies, possibly punches, or even an exacto knife and ruler. Start with a square of lightweight card stock. Score into thirds both vertically and horizontally. I used a 12 x 12 sheet, so I scored it at 4 inches and 8 inches in both directions. Cut out the corners. Fold in the flaps just to make sure it folds easily and that you have a perfect square. In my example I ended up with a 4 inch square card. Unfold card. 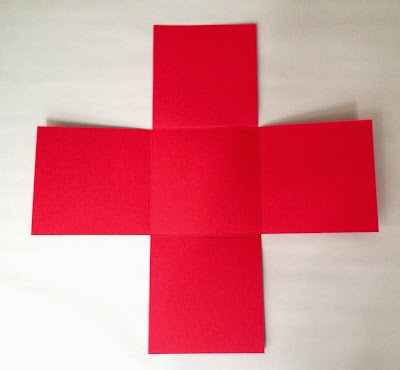 Center your largest die and cut out your first window* from any of the flaps. 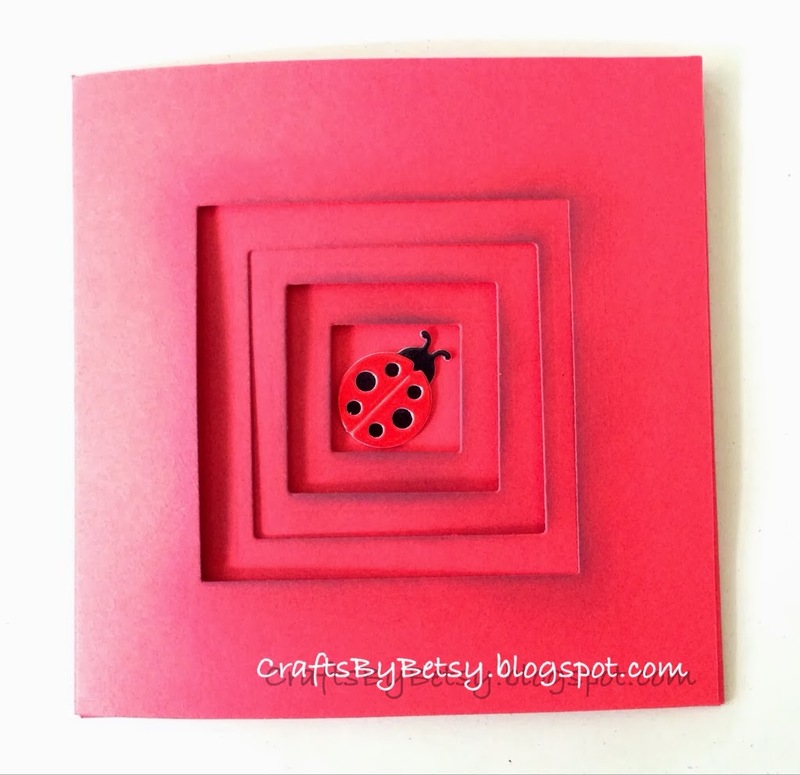 You just need to have room for your largest of 4 dies within your square leaving enough card for structure. 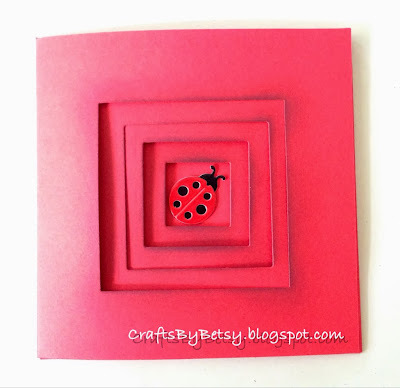 *Hint-If you have trouble fitting your card through your die cutting machine, fold the opposite flap from the one you want to cut, under your card, then center the die in the center square of the card (not the center of the flap, but the card) with the cutting edge up. 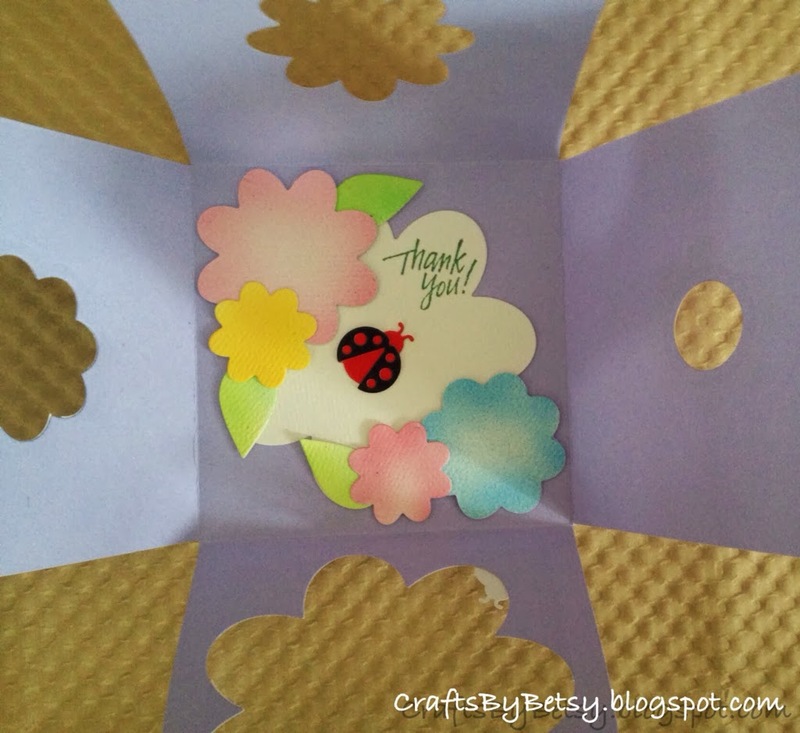 Once you are happy with the placement, fold the flap that you wish to cut over the top of the die and carefully add your cutting plate. Next, cut the opposite flap with the 2nd largest die. Close the previously cut flap so that you can visually center the next die. Continue like this until all 4 flaps have been cut. Now you are ready for the embellishment in the center of the card. 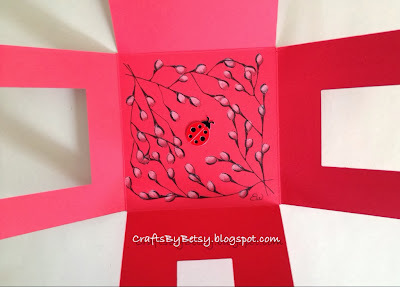 I used Ladybugs from Elizabeth Craft Designs in both of my cards shown. 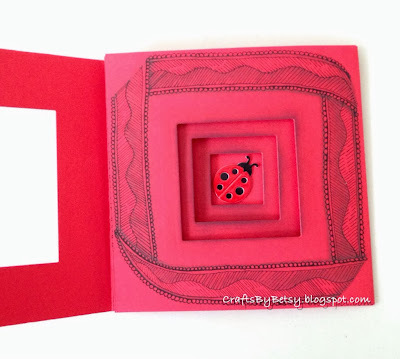 This first card has a very simple look closed, but as you open each page it reveals Zentangle® inspired art. For more Zentangle information check out my last week's post or visit Zentangle.com. 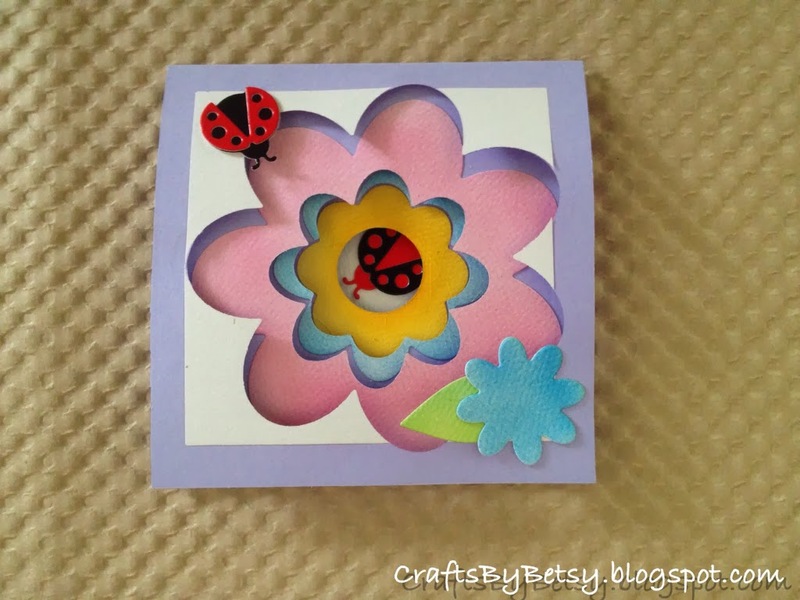 My second card demonstrates you don't have to use nesting dies. Try using various shapes of descending sizes. This card uses Flower Layers and Leaf from Sizzix.